Running from Ludgate Hill to Newgate Street in the western part of the City, there are a couple of explanations behind the thoroughfare known as the Old Bailey. One suggests that the name is derived from Latin word ballium which referred to a wall built for defence and which, in this instance, referred to the old Roman wall which surrounded the City. Another, according to Antony Badsey-Ellis’ book What’s in a Street Name? , is that the name could be a corrupt form of ‘Bail Hill’ – a place where a bailiff held court. For centuries the street’s name has also been used for that of a court based there. Now formally known as the Central Criminal Court, the first court – or sessions house – was built here in 1539 on part of the site now occupied by the court. Built next to the Old Bailey court house – and pre-dating it was Newgate Prison – but when this was demolished in 1902, the Old Bailey (which itself had been rebuilt in the 1670s having been destroyed in the Great Fire of London and then subsequently remodelled) was again rebuilt and, opening in 1907, now covers the site. For an archive of the court’s proceedings, check out www.oldbaileyonline.org. For more on the history of The Old Bailey, check out Theresa Murphy’s The Old Bailey: Eight Hundred Years of Crime, Cruelty and Corruption . 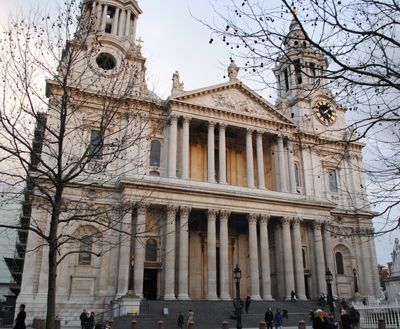 • Margaret Thatcher’s funeral will be held next Wednesday at St Paul’s Cathedral from 11am with Queen Elizabeth II among those attending (the first time she has attended the funeral of a British politician since Sir Winston Churchill’s in 1965). The funeral procession of the former Prime Minister, who died on Monday aged 87, will start at the Houses of Parliament and make its way down Whitehall to Trafalgar Square before moving down the Strand, Fleet Street and Ludgate Hill to St Paul’s Cathedral. 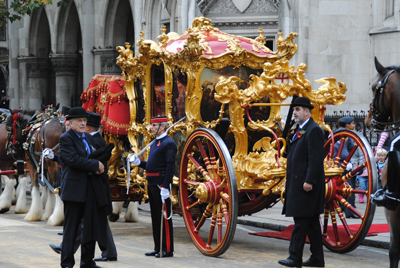 Baroness Thatcher’s coffin will carried in a hearse for the first part of the journey and will be transferred to a gun carriage drawn by six horses of the King’s Troop Royal Horse Artillery at St Clement Danes church on the Strand for the final part of the journey. There will be a gun salute at the Tower of London. Meanwhile, a Book of Condolence has opened at St Margaret’s Church, beside Westminster Abbey, this morning and will be available for people to pay their respects until 17th April, during the church’s opening hours. St Margaret’s – which stands between Westminster Abbey and the Houses of Parliament – is commonly known as the parish church of the House of Commons. • The story of the Jewel Tower – one of the last remaining parts of the medieval Palace of Westminster – is told in a new exhibition at the historic property. Now in the care of English Heritage, the tower – located to the south of Westminster Abbey, was built in 1365 to house King Edward III’s treasury, later used as King Henry VIII”s ‘junk room’, the record office for the House of Lords, and, from 1869, served was the “testing laboratory” for the Office of Weights and Measures. The exhibition, which opened this month, is part of the English Heritage celebrations commemorating the centenary of the 1913 Ancient Monuments Act. The Jewel Tower is open daily until November. Admission charge applies. For more, see www.english-heritage.co.uk. • See some of the earliest underground trains, a Lego version of Baker Street station and ride the Acton Miniature Railway. The London Transport Museum’s depot in Acton is holding it’s annual spring open weekend this Saturday and Sunday and in celebration of the Underground’s 150th anniversary, attractions will include the Metropolitan Steam Locomotive No. 1 and the recently restored Metropolitan Carriage 353 along with model displays, rides on the miniature railway, film screenings, talks, and workshops. Wales’ Ffestiniog Railway team – celebrating their own 150th anniversary – will also be present with the narrow gauge train, Prince. Open from 11am to 5pm both days. Admission charge applies. For more, see www.ltmuseum.co.uk. • Now On: Designs of the Year. The Design Museum has unveiled contenders for the sixth annual Designs of the Year competition and you can what they are in this exhibition. Consisting of more than 90 nominations spanning seven categories, the nominated designs include the Olympic Cauldron by Heatherwick Studio, The Shard – western Europe’s tallest building – by Renzo Piano, a non-stick ketchup bottle invented by the Varanasi Research Group at MIT, and Microsoft’s Windows phone 8. The exhibition runs until 7th July – the winners will be announced this month. Admission charge applies. For more, see www.designmuseum.org. London’s railway network stands out as one of the greatest achievements of the Victorian age for it was during the 19th century that much of the railway infrastructure still in use today was first established. The first railway line in London opened in February 1836 (six years after the UK’s first line opened) and ran between Spa Road in Bermondsey and Deptford on the south bank of the River Thames. The line was extended to London Bridge in December that same year and again to Greenwich, from cross-Channel steamers left – in April the following year. That same year – 1837 – the station at Euston opened as the final stop for trains from Birmingham (an earlier terminus as Chalk Farm was deemed too far out). It was followed by Paddington in 1838, Fenchurch Street – the first permanent terminus in the City – in 1841, Waterloo in 1848 and King’s Cross in 1850. Having seen a boom period during the 1840s, development of new lines took a back seat in the 1850s but resumed apace the following decade with the opening of Victoria Station, connecting the city to Brighton and Dover. Stations followed at Charing Cross, Ludgate Hill and Cannon Street and alongside the grand terminus’ around the outskirts of London where trains arriving from distant destinations arrived, numerous smaller railways began to be built, such as the West End of London and Crystal Palace Railway and the Victoria Station and Pimlico Railway, which took passengers on only short journeys across the city (these smaller railway companies all disappeared by 1923 when the 1921 Railways Act resulted in the creation of what are known as the “Big Four” British railway companies). And, of course, the London Underground, has its first journey in 1863 but we’ll look at that in more detail next week. Interesting to note that there were three classes of rail travel and while first and second class passengers had seats, this wasn’t always the case in third class where, writes Michael Paterson in Inside Dickens’ London, passengers, such as those on the Greenwich line, were initially forced to stand in open topped carriages known by some as ‘standipedes’. 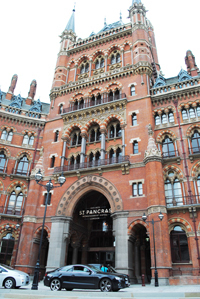 Naturally, with the building of the railways came some spectacular stations – among the most spectacular is the late Victorian building which stood at the front of St Pancras Railway Station and housed the Midland Grand Hotel (pictured above). An exemplar of the Gothic Victorian style, it was designed by Sir George Gilbert Scott and, following a massive recent refurbishment, is now home to the five star Renaissance London Hotel and apartments. We can, of course, only touch on the history of the railways in such a brief article – but we will be looking in more detail at some more specific elements of the system in later posts. 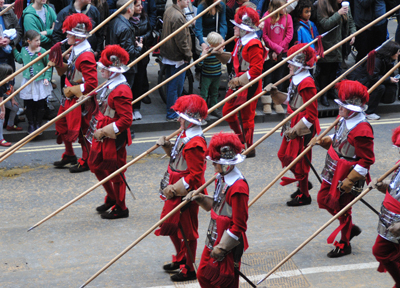 • The 2012 Lord Mayor’s Show is just about upon us and while you may not have a grandstand seat, there’s still plenty of places you can stand and watch the parade of more than 6,500 people pass by. Saturday’s parade – which celebrates the election of the 685th Lord Mayor of London, Alderman Roger Gifford – leaves Mansion House at 11am and travels via Poultry and Cheapside to St Paul’s Cathedral where it pauses for the Lord Mayor and his officials to receive a blessing – before continuing on via Ludgate Hill and Fleet Street to the Royal Courts of Justice, arriving there at about 12.30pm. There the Lord Mayor gives his oath of loyalty to the Crown (while in the surrounding streets the participants and 125 horses are fed and watered) before the parade reassembles and sets off from Embankment at 1pm, heading back to Mansion House via Queen Victoria Street – the Lord Mayor arrives sometime between 2pm and 2.30pm. (The website has a terrific one page map of the route you can download and print). There’s no fireworks display after the parade – although there’s a host of other activities taking place in the City of London – but if you’re up and about early enough, you may want to watch the Lord Mayor as he boards the barge QRB Gloriana at the Westminster Boating Base in Vauxhall at 8.30am and, escorted by a flotilla, makes his way up the Thames to HMS President, just below St Katharine Docks, arriving at about 9.35am after Tower Bridge opens in salute. 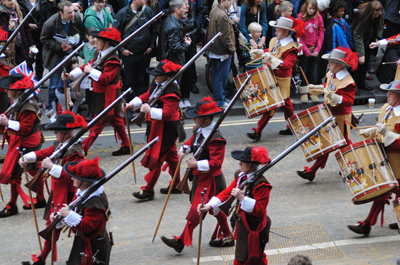 For more, head to www.lordmayorsshow.org. • The annual Remembrance Sunday service – commemorating the contribution of British and Commonwealth servicemen and women in the two World Wars and later conflicts – will take place at the Cenotaph on Whitehall at 11am this Sunday. While no tickets are required to watch the event, the Department of Culture, Media and Sport, who organise the service, advise arriving early if you wish to secure a good viewing space (and leave time for security checks at the entrance to either end of Whitehall). Whitehall opens at 8am. For more details, see www.culture.gov.uk/what_we_do/honours/3333.aspx. • A new exhibition of the work of US photographic pioneer Ansel Adams opens at the National Maritime Museum in Greenwich tomorrow (Friday). Ansel Adams: Photography from the Mountains to the Sea, which comes from the Peabody Essex Museum in Salem, Massachusetts, will feature more than 100 original prints, many of which have never been exhibited before in the UK. It is said to be the first exhibition to focus on his “lifelong fascination” with water and the display features some of Adams’ finest images based on this subject including what are some of the most famous photographs of the 20th century. Highlights include the first photograph Adams’ ever image – taken at age 14 – which features a pool located at the Panama Pacific Exhibition at the 1915 World’s Fair, the three American Trust murals produced in the 1950s on an “unprecedented scale”, Adam’s favorite work – Golden Gate before the Bridge – which hung above his desk, and iconic images such as Clearing Winter Storm, Yosemite and Stream, Sea, Clouds, Rodeo Lagoon, Marin Country, California. There is an admission charge. Runs until 28th April. For more details on the exhibition, see www.rmg.co.uk. • Also opening tomorrow (Friday) is the British Library’s major autumn exhibition – Mughal India: Art, Culture and Empire. The exhibition focuses on the Mughal dynasty – which once ruled over much of the Indian sub-continent – and is the first to document the period spanning the 16th to 19th centuries. Featuring more than 200 manuscripts and paintings, most of which come from the library’s own collection, highlights include Akbar ordering the slaughter to cease in 1578 – a work attributed to the artist Miskina in 1595, Abu’l Hasan’s early 17th century painting Squirrels in a plane tree, the historically important illustration Prince Aurangzeb reports to the Emperor Shah Jahan in durbar, and a portrait of Prince Dara Shikoh, favorite son and heir-apparent of 17th century Emperor Shah Jahan. Runs until 2nd April. Admission charge applies. 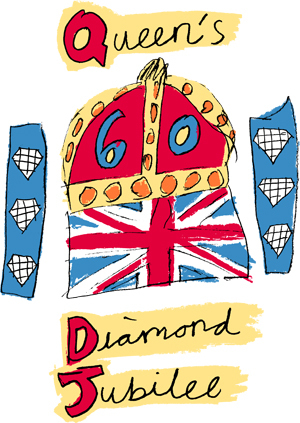 For more on the exhibition and accompanying events, see www.bl.uk. We’re launching a new ‘Lost London’ special looking at some of the now disappeared gates of London. 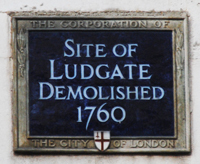 First up is Ludgate which once stood on the western side of the city. The gate is believed to have been constructed in Roman times and is known to have been rebuilt a several times – once in 1215 and another time after it was destroyed in the Great Fire – before being demolished in 1760 to allow for the road to be widened. The origins of the name – which is today commemorated in street names like Ludgate Hill and Ludgate Circus – are sketchy but may have been named after the mythical pre-Roman King Lud, who was, so the legend goes, buried underneath this portal (this myth was popularised by the 12th century writer Geoffrey of Monmouth). Others have suggested ‘lud’ is a corruption of ‘flud’ or ‘flood’ and the gate was so named because it prevented the city being flooded by the River Fleet. Another possibility is that ‘lud’ is simply an old English word for a postern gate, a small secondary gate. Whatever the origins of its name, it has been suggested it was through Ludgate that William the Conqueror passed when first entering the city. In 1377 it became a prison for petty criminals like debtors and trespassers – serious criminals were sent to Newgate – and this lasted until its final destruction. There is a blue plaque on the wall of the church of St Martin-within-Ludgate in Ludgate Hill marking where Ludgate once stood (pictured above). It is believed that some badly corroded statues standing under a porch at the church of St Dunstan-in-the-West on Fleet Street are of Lud and his sons and were taken down from the gate before its demolition. William Kerwin’s statue of Queen Elizabeth I which dates from 1586 sits in a niche on the front of the church is also believed to have been removed from Ludgate.